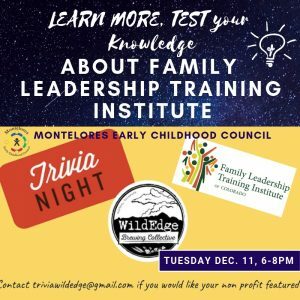 On Tuesday, December 11th, WildEdge is having a Trivia Night featuring FLTI! 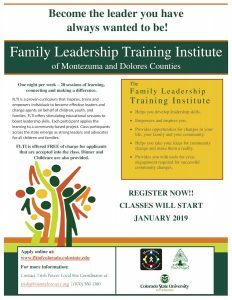 Learn more and test your knowledge about Family Leadership Training Institute. 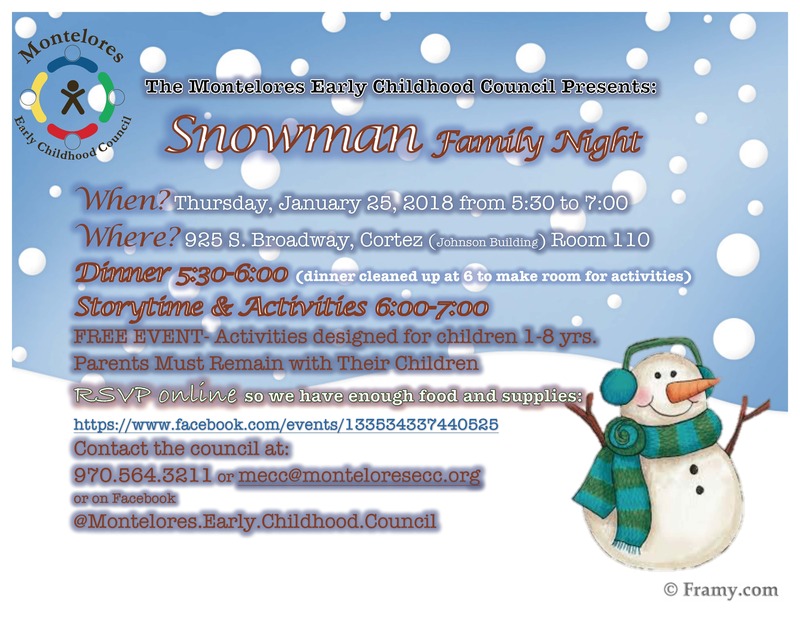 It is lots of fun — join us if you can! 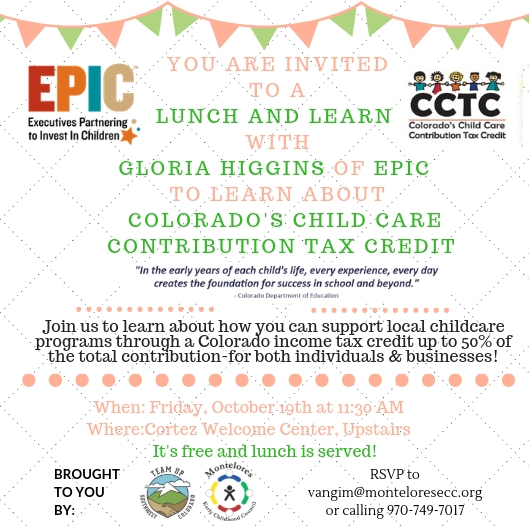 Friday, October 19th, MECC and Team UP are happy to be hosting a lunch and learn with the Executive Director of EPIC (Executives Partnering to Invest in Children) about the Colorado Childcare Tax Credit (CCTC). We’ll talk about how you can support local childcare programs with an income tax credit — a great deal for individuals, businesses and providers. Right click to download invitation. 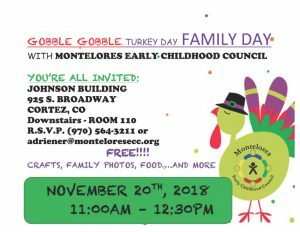 We are providing lunch, so please RSVP to vangim@monteloresecc.org or call (970) 749-7017. It’s in the Bag Backpack Drive is revving up for a new season. 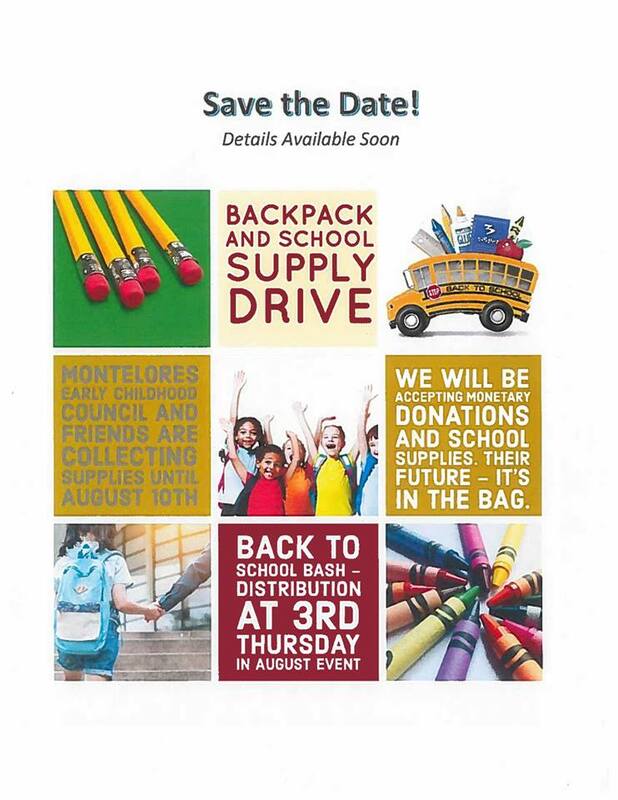 The Montelores Early Childhood, Cortez Retail Enhancement Assoc., Marketing and Events of the City of Cortez, and the Cortez Public Library are partnering to bring kids a backpack of school supplies, books and socks. We would also like to offer back-to-school haircuts. We are in need of monetary donations, socks, and hair stylists who like to donate their time for a good cause. 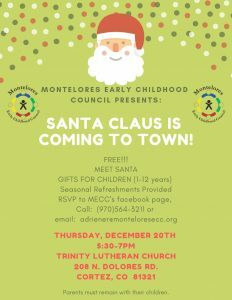 We will be posting drop off locations and wish lists soon! The backpack giveaway is slated for Thursday, August 16, from 5 – 8 p.m. at the 3rd Thursday Market in Montezuma Park on the corner of Montezuma and Market streets. Help us reach our goal of raising $2,500!